How Much Does it Cost To Fly To Taipei? The cheapest flights to Taipei found within the past 7 days were $157. Prices and availability subject to change. Additional terms may apply. Sky Harbor Intl. - Taoyuan Intl. Logan Intl. - Taoyuan Intl. For a rewarding, informative, and exotic vacation, Taipei, Taiwan is hard to top. The city is revealed in all its majesty as you fly over, especially if you are lucky enough to arrive at Taoyuan International Airport (TPE) at night. Navigating the city is easy and fun due to its plethora of transportation options. 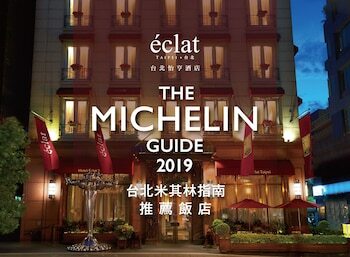 You will find outstanding dining in Taipei, including lots of amazing street food, so you don't need to worry about going hungry while you explore the city. As for sightseeing, be sure to mark the stunning Bao'an Temple and Dihua street on your list of must-see places. Dihua street is world famous for the medicine shops, fabric shops, kiosks, and street vendors, so get ready to shop like a local. Hotels near Taoyuan International Airport are modern and have all the amenities you could want. Excellent service is their trademark, so you'll be comfortable in your home base while you explore the city. Transportation here is a snap with easily accessible shuttle bus service as well as plentiful taxi services. Outstanding high-speed rail services link the airport to various points around the city, which means getting back and forth to the airport a breeze. If you are a fan of Chinese art and history, be sure to stop in at the National Palace Museum, which contains one of the greatest collections of Chinese art in the world. This is a modern city that mingles the old with the new beautifully, so be sure to take advantage of both aspects of the city while visiting. In addition to great flight deals and prices on tickets, Travelocity can also set you up with great hotel deals. Travelocity has some great Taipei vacation packages that can save you up to $537 so book now! Question : Where can I find cheap flights to Taipei? Answer : We know you’re looking for the best flights at the lowest fares, so we found some of the sweetest deals in town just for you. Check out the top flight deals to Taipei. Act quickly and score yourself a bargain! Xiamen Airlines has a flight from to Taipei departing on 4/30/19 and returning on 5/4/19 all for only $392.00 per person. * Book these Xiamen Airlines flights! China Eastern Airlines has a flight from to Taipei departing on 4/30/19 and returning on 5/4/19 all for only $569.00 per person. * Book these China Eastern Airlines flights! Air Canada has a flight from to Taipei departing on 4/20/19 and returning on 4/23/19 all for only $724.00 per person. * Book these Air Canada flights! Question : What are the most popular airlines that fly to Taipei? United Airlines Flies 135 flights per week between and Taipei. American Airlines Flies 133 flights per week between and Taipei. Delta Air Lines Flies 80 flights per week between and Taipei. Question : Which hotels are located near airports or major attractions in Taipei? 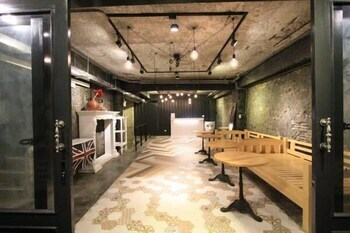 Answer : We've put together a list of hotels in Taipei close to airports and popular sights to see. Check out the hotels below. 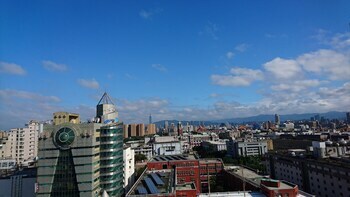 All of them are within proximity to must-see attractions and major airports in and around the city of Taipei. FX Hotel Taipei Nanjing East Road Branch: Located in Zhongshan, this hotel is within a 15-minute walk of Liaoning Night Market and Taipei Arena. Chiang Kai-shek Memorial Hall and Taipei World Trade Center are also within 3 mi (5 km). This hotel has a 4.00 star rating. 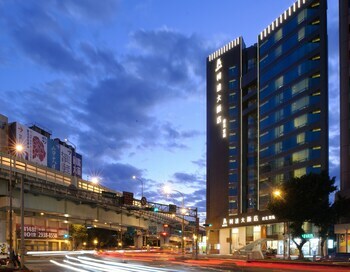 Park Taipei Hotel: This hotel has a 3.50 star rating. 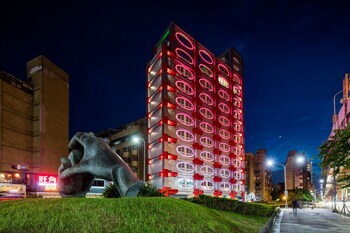 The Howard Plaza Hotel Taipei: This family-friendly Taipei hotel is located near the airport, within 1 mi (2 km) of Breeze Center and Sun Yat-Sen Memorial Hall. Chiang Kai-shek Memorial Hall and Taipei 101 are also within 2 mi (3 km). This hotel has a 4.00 star rating. 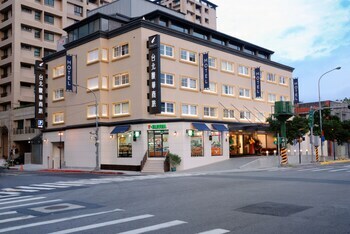 Park City Hotel-Luzhou Taipei: Located in Luzhou, this hotel is within 3 mi (5 km) of Chung Yang Bridge, Taipei Bridge, and Chenghuang Temple. 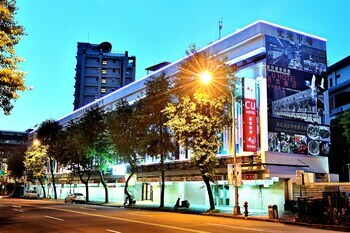 Taipei Astronomical Museum is 3.1 mi (5 km) away. This hotel has a 4.00 star rating. Question : What are the top attractions in Taipei? Answer : Taipei has over 160 points of interest for you to choose from. We suggest checking out Fulong Beach and Taipei Arena first because they are the most popular attractions in Taipei. Don't forget about other highly recommended spots like Taipei World Trade Center, Shilin Night Market, and National Taiwan University. Get out there and see what the city has to offer on your trip to Taipei! Open area Many mosquitoes carefully. Room just ok Breakfast same menu all the time.